It's like all the bits have been thrown up in the air and allowed to land at random. Whatever coherence there was – and it was very slight – has completely evaporated and there is no sense whatsoever to be gained from the situation as it currently stands. On the agenda is the third vote on the Withdrawal Agreement, ostensibly due for Tuesday except that the feeling is that Mrs May will pull it if she fears she will lose it, which is thought likely to be the case. That might then lead to a different ploy, with the MP collective being asked to give their views on what they prefer, through a series of seven "indicative" votes, none of which as yet have been specified in detail. Where that would actually leave us legally in respect of Article 50 is not entirely clear, because that option is not directly factored in the outcome of the European Council just gone. What we do have to help us is the formal text of the European Council Decision, which does set out the exact position in respect of two separate scenarios. Firstly, if the Withdrawal Agreement is approved by the House of Commons by 29 March, the Article 50 period is extended until 22 May. If it is not approved by then, the period is extended until 12 April. And in that event, the United Kingdom will indicate a way forward before that day, for consideration by the European Council. Putting that together, the easy (but less likely) bit is that the Commons agrees the Withdrawal Agreement next week. That will give until 22 May to sort out all the legislation needed to implement our departure from the EU, whence we will then slip, seamlessly into the transitional period and start the negotiations to establish the long-term relationship. If by 29 March – in less than a week – the Commons hasn't approved the Withdrawal Agreement, all bets are off. Basically, the government then has two weeks to tell the European Council what it thinks should happen, without there being any commitment on its part to any particular action. In this case, Article 50 will still stand and, without a Withdrawal Agreement in place, the default option is hit the buffers with a no-deal Brexit on 12 April unless the Council is so overwhelmed by the brilliance of the UK's proposals that it decides to extend the Article 50 period again, for a period as yet unspecified. Beyond that, there is neither clarity nor certainty, leaving nothing but speculation, rumour and gossip. All this does is add further to the quantum of noise which is drowning out attempts to understand what might happen – itself a forlorn prospect as we are seeking to know the unknowable. It is an absolute, though – from which the EU Member States have not deviated – that the EU will stand by the Withdrawal Agreement. Thus, in the event of a third Commons rejection, all it will want to hear from the UK, and Mrs May in particular, are plans for the next attempt at ratification. And, fourth time round, it seems extremely unlikely that there will be anything on offer which will induce the "colleagues" to extend the Article 50 period beyond 12 April. What is puzzling though, is that there is talk of the third vote being delayed past next week, which means that the deadline of 29 March will have expired by the time a vote is held, whence the 12 April cut-off will apply, irrespective of the outcome. In the unlikely event that the MP collective approved the deal, that would put the European Council to the trouble of having to extend the Article 50 period once again, to allow the legislative processes to be completed – which we presume it would do, albeit with a certain amount of irritation. But, with the 12 April date automatically kicking in, that then cuts down the time Mrs May has to craft alternatives, in the event that MPs reject the deal, also shortening the time the European Council has to consider its options if Mrs May does come up with anything worth listening to. And, as we know, the European Council needs an amount of time to draw up its conclusions. It may not have the time or inclination to react. That rather points to a growing suspicion that Mrs May has given up any serious attempt to get the Withdrawal Agreement ratified, putting us on course for a no-deal exit on 12 April – as the default option. There is even a possibility that we will arrive at that point without even having had a third vote and a further likelihood that no attempt will be made to pursue European Elections. Assuming Mrs May is still in office by then, removing any possibility of a new actor for the "colleagues" to play with, one rather feels that it isn't only our prime minister who has given up. Certainly, the Guardian seems to believe that the EU leaders are stricken by fatalism, with senior EU officials saying that the likelihood of a no-deal outcome is "very, very real". This stems in particular from Donald Tusk's closing remarks at the completion of the European Council yesterday, when he said that "the fate of Brexit is in the hands of our British friends". We are, he added, "prepared for the worst, but hope for the best". As you know, he then concluded, "hope dies last". The huge irony is that, right up to the last minute, there will doubtless be a significant number of MPs who will still believe that the default option won't happen and that something will happen to drag us back from the brink of the precipice. The actuality of leaving, therefore, will come as a shock to some. From the look of it, it also seems as if the severity of a no-deal Brexit could come as a shock as well. A classified government paper is warning of a "critical three-month phase" after leaving the EU during which the whole planning operation could be overwhelmed. Government departments, the paper says, will have to firefight most problems for themselves – or risk a collapse of Operation Yellowhammer - the operation set up to manage the government's response to a no-deal Brexit. Regular readers will be aware of our view that there is no necessary reason why there should be chaotic conditions at the Channel ports, or any shortage of essential imports, but that assumes a degree of competence in planning and preparation which we have so far not seen in any branch of government, and especially in the Department for Transport, which will be in the hot seat. Nevertheless, with the amount of stockpiling and the probability that businesses will scale down their movements in the immediate aftermath of Brexit, it is not unreasonable to expect the cross-Channel traffic in the first few weeks after Brexit will be relatively light – notwithstanding Easter holiday traffic – allowing the authorities to cope with relative ease. That, however, does not preclude structural problems in the management of government departments. The Cabinet Office is expecting each operational department to set up their own operational centres, funded from their own internal budgets, in order to handle matters within their areas of responsibility. Notoriously reluctant to commit funds to what could be an open-ended commitment, departments could cut corners, leaving their centres dangerously under-resourced and over-stretched, unable to cope if the going gets rough. Any unpredicted developments could very easily create crisis conditions, with the authorities losing control. This seems most likely to happen at local level, where there is concern that cash-strapped local authorities are not getting the guidance they need from Whitehall. A source has told the Guardian that, "Central government is not providing leadership", declaring that: "At the moment we are trying to plan for everything. There is no direction [or] accountability. 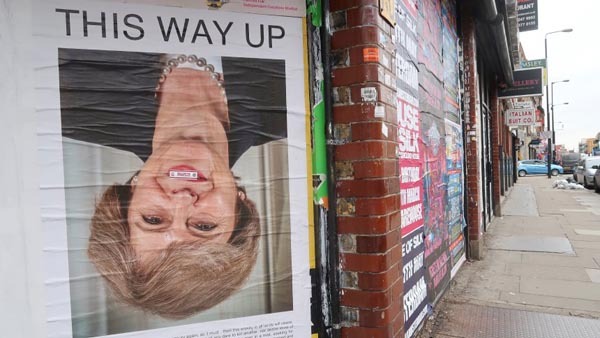 The response to a no-deal Brexit needs to be built from the bottom up". Probably the greatest danger comes with the uncertainty. Even though we are potentially three weeks from a no-deal Brexit, one day ago we were one week from that possibility. Budget-holders are going to try to avoid committing funds until the last possible minute and some may hold on to the belief that we will get a last-minute reprieve and 12 April won't happen. For all the publicity and hype, therefore, there is still the perverse possibility that some authorities will be caught by surprise and will be unprepared when their hour of destiny comes. And there simply won't be the reserves in place to take up the slack. Under the circumstances, the best thing Mrs May can do is make up her mind as early as possible as to her intentions, and then give as much notice to the public as possible. But if we're not even going to get that, then we're all going to be struggling to cope in a few weeks.